Walker's "Divide and Conquer" Political Strategy Revealed in Shocking VideoTweet this! Walkers helps to make it easier for people to move and is compact, portable and easy to use. ALEC helped pioneer some of the toughest sentencing laws on the books today, “truth in sentencing” laws. In 1995 alone, ALEC’s Truth in Sentencing Act was signed into law in twenty-five states. (Then State Rep. Scott Walker was an ALEC member when he sponsored Wisconsin’s truth-in-sentencing laws and, according to PR Watch, used its statistics to make the case for the law.) This forced Wisconsin to build new or rebuild 71 county jails 71 courthouses and dozens of prisons. This also forced Wisconsin to build or remodel 238 police stations. This also forced Wisconsin to buy or lease several hundred halfway houses etc. This also forced Wisconsin into hiring some 30,000 plus public sector workers to work at these places. Every time Scott walker says he is for small government and talks about the budget. remember who caused the budget problems and huge government in Wisconsin. He is for small government like George Bush was. He hires millions in the name of Homeland security. Vote Conservative and for small government. Vote out Scott Walker. Can we afford his tax and waste ideals and huge government? 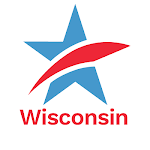 If not for Walker and Alec Wisconsin would have tens of billions in surplus. We could get tax refunds again. Lets blame the real reason for budget problems. “Scott Walker”. As we all know this ended liberty and justice for all in Wisconsin. It has made our justice systems get rich quick schemes.